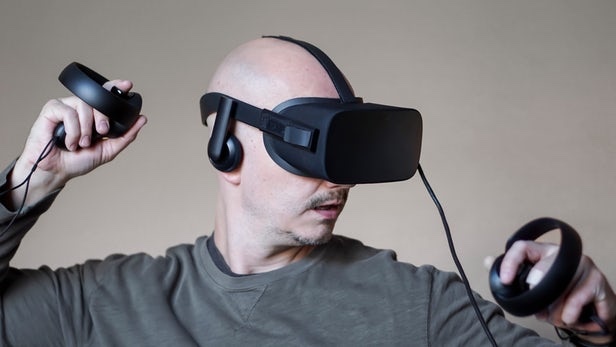 AVS Forum | Home Theater Discussions And Reviews > Articles > Community Articles > Is The Movie and Electronics Industry Quietly Killing Off 3D? If So Why? Is The Movie and Electronics Industry Quietly Killing Off 3D? If So Why? I made this post earlier in another thread and thought it might be good to share as a new topic. This way hopefully more people read my thoughts and provide feedback. This might help me gauge wether I’m just being paranoid or just being “Woke AF” (sardonic voice). So here it is, please share your thoughts. I’ve wondered many times why it seems like the industry is almost putting thought and effort into killing off 3D. The choice to omit 3D from the UHD format, and most consumer displays, as well as not selling UHD/3D combo disks (like the did with standard blu ray) begs the question; Is there financial incentive? My answer is Yes. 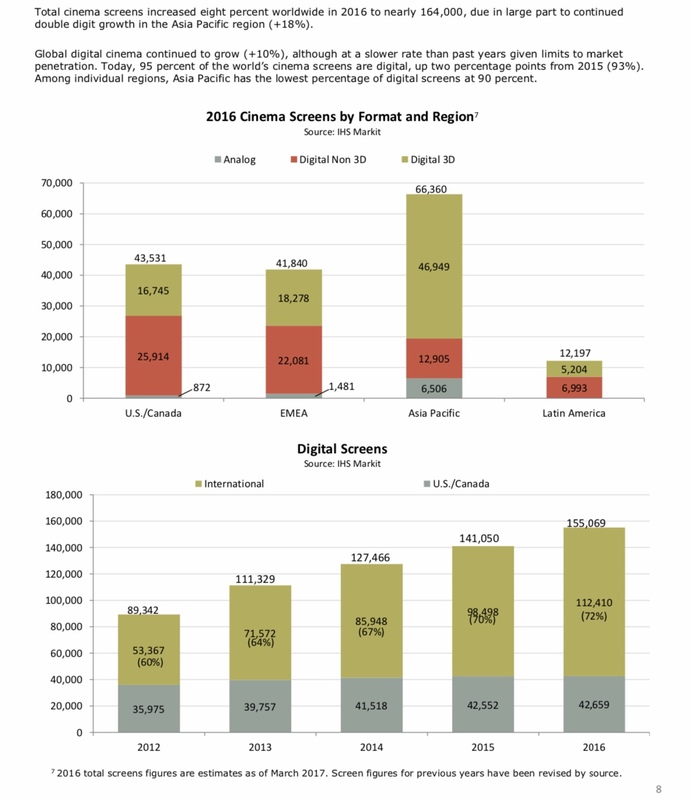 Given how costly theaters have become, the trend in larger theaters with a lower percentage of seats with good viewing angles, and the affordability of large tv’s and projectors what draw is left for movie goers? First, obviously is early access to the movie, however myself and many others would prefer to wait and own the movie for less than the cost of tickets for a couple or family. This is where 3D comes in. If you like 3D and are like most people who have upgraded to a non 3D 4K TV, then theaters are suddenly the only option for watching a big blockbuster in 3D. I know this sounds like a far fetched conspiracy; but hey, what’s the internet and especially forums meant for right? Now that’s a very sizable market share, especially in the largest consumer market(Asia). Theaters, the movie industry, and manufacturers need to offer something that home theaters and televisions can’t in order to stay relevant. They can do this by investing money and time in making the theaters a better experience than home. Or, they can spend no money by limiting the options for home content while at the same time increasing the value of theaters. Now, I know this would take a lot of coordination by the MPAA, Theaters, and Electronics Manufacturers. However, I’ve seen entire industries break the law and even put peoples lives at risk to save costs and increase profits many, many, times in my life (Boeing and Perdue Pharma being the most recent to pop in my head). So is it too far fetched to think a few companies might omit features legally to help sales? I don’t think it is. That’s why I love this forum, it can be helpful when trying to exploring truth in an increasingly opaque consumer market. Sorry for the rant, I lost my aluminum helmet and am feeling a little strange. Last edited by bix26; 04-15-2019 at 10:00 AM. I don’t have the answer for you and I was a very late adopter of 3D with my front projection setup. For a long time I wanted to try 3D but never did. A couple years ago I bought the equipment and now have about a dozen movies. I never really enjoyed the lesser technology used in the commercial theaters, but the at home equipment is much better. I will say I’m mildly a fan of 3D but only watch alone because the rest of the family would rather watch the 2D version. I doubt there is any conspiracy as the movie industry has always been about the bottom line and will push anything that is still making them money. I am always amazed at how much DVD material is still sold. I feel people lost interest in 3D. If 3D combo packs were a hot selling item I’m sure they would be provided to the consumer. What we need to know is what is the cut line for producing quality 3D and how much in sales is needed to support that. My BD player will convert any disc into a 3D movie of poor quality. The movies that really showcase 3D I have a feeling are major investments and without the payback why make them. So my short answer is I suspect it is all economic. Call it a pet theory but these figures could indicate for reasons not thoroughly examined that audiences rather enjoy 3D on large screens (IMHO more immersive) and in public theaters (where nobody feels silly putting on glasses because everybody else does) and are or were less excited to do that at home. 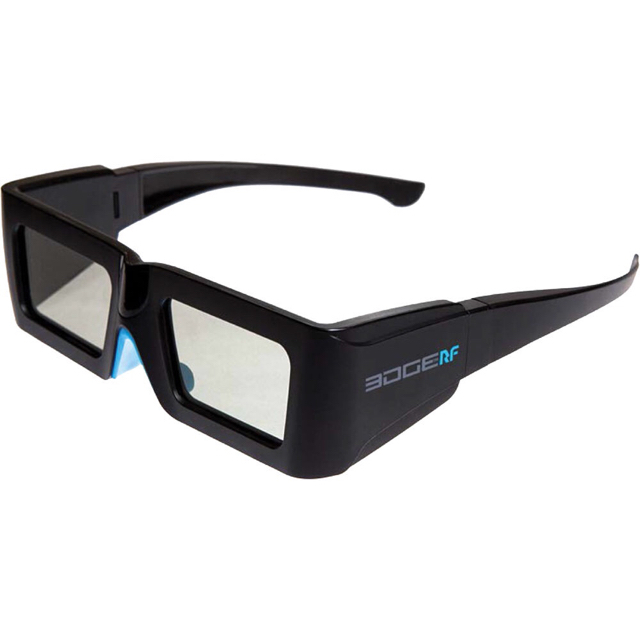 In the past decades 3D always had been a "large screen thing" (1950's, IMAX 3D in the early 2000's) with 3D Blu-ray for home theater being first and foremost an AV industry attempt to sell new technology to consumers. I’ve wondered many times why it seems like the industry is almost putting thought and effort into killing off 3D. 1. No traction for 3D TVs sets - consumers were not actively buying the 3D sets, and even if they got a 3D set (since 3D was implemented only on medium or premium TV sets) they did not use this feature. 2. Too much hassle with the glasses (active or passive). Consumers want to just watch whatever they want, how they want, with glasses you must concentrate on the screen, other activities (such as staring at smartphones...) must be sidelined (people apparently do not like to do that at home). 3. The active 3D TVs were flickering and the first gen. passive 2K 3D TVs had no flickering but were only HD/720p 3D, not FullHD 3D (the second gen. passive 4K 3D TVs were much better, FullHD 3D, but were too expensive and too late - 4K 3D TVs were available only 2-3 years before they were axed in 2016/2017, so the sales window was too short). I know @bix26 like myself have front projection theaters, and it is easy to forget we are in a small niche of the home entertainment market place. It’s a little ironic now that TVs as @Frank714 mentioned are finally getting big enough to be somewhat immersive they are dropping out of 3D. With a 70-80” TV 2 or 3 people can get close enough and in the immersion zone to watch a 3D movie at once. @dfa973 brings up a point I never thought of but in reading it rings very true. The last few times I ventured out to a commercial theater and I mean “last” there have been many people sitting somewhere in my vision that have been overcome with the urge to light up their stupid smart phone. To think of going 2 hours unconnected to the social media chain is unheard of. At home I notice family members peaking at the facebook feed when we watch TV in the media room. I’m not nearly as bothered at home unless it is a lights out movie event. It has become a part of our lives I guess and he is right you can’t watch a 3D movie with one eye and your phone the other. Like I said above I only have a dozen or so 3D movies, but from what I’m seeing 3D never really hit its full potential or is just getting there in time to be done. Things like a BD where the movie is 2.35:1 scope but uses the 1.77:1 full frame to expand into with 3D can be very startling to say the least. Some of the craziest things I have seen were made by amateur filmmakers and posted on line where I swore the guy was climbing out of the screen and into my room. Like action movies without a plot 3D works best when it is backed up with a movie that isn’t just about 3D. I think sometimes they forget that. dfa973 and Frank714 like this. I agree that most of those reasons, really leave little argument for trying to keep 3D alive. I’m still left wondering why many newer projectors aren’t keeping 3D capability? They don’t need to include the glasses, and the firmware is probably not difficult to implement, there aren’t any hardware costs that are associated with direct displays. Yeah, I actually am kind of surprised we still see 3D Blu Ray, I’m sure it’s not cheap to master. For some reason most movies are still being released in 3D. That makes it all the more perplexing why on the projector side (mainly dlp) we are seeing less and less with 3D capability. It’s really one of the few things that dlp does better than other projector technologies. I couldn’t think of any good reason they would exclude it, but then I stared thinking maybe it additional liscensing fees from either TI or BluRay pattent holders idk. It is always amazing to me how quickly any new technology becomes commonplace. The amazement everyone felt about that first iPhone and only a short time later it was as common as a cup of coffee. 3D was kind of like that I think. The idea of real 3D at home was amazing for a while but then it was just no big deal to most. I’m older grew up in the day of B&W TV and 2 channels of OTA as a kid. A snowy picture that flicked. I’m as amazed by having an affordable FP screen room with the beautiful picture I get as anyone could ever be. But I notice young people the iPhone generation show very little interest in FP. They grew up with FP from kindergarten on and it is just no big deal to them. Most I see want that 65” TV with a sound bar and netflix as their media source. 3D isn’t much in their vocabulary. Consumers just didn't want it. If they did trust me everything would have had it and been pushed to include it. Yup, the push for 3D was artificial, the market was not ready, the need for 3D to sale was mostly from one direction: tech & movie industry - not from consumers. But the consumers that did want 3D in their home were able to buy the tech and used the 3D. Now we are on life support, God knows when the 3D Blu-ray discs will stop being made - because the streaming services do not seem to care about 3D..., so no more 3D Blu-ray's = no new 3D content! Endgame! That makes it all the more perplexing why on the projector side (mainly dlp) we are seeing less and less with 3D capability. It appears you've not been closely following developments in the DLP projector market. Yes, that was one vocal point of criticism when the 4K DLP projectors (e.g. Optoma UHD65) with the new 0.66" DMD were introduced (no 3D support), but this changed when the smaller 0.47" DMD arrived (3D DLP Link support). To my knowledge all the latest 0.47" DMD DLP projectors feature DLP Link support, but given the lackluster information in the projector's manuals and website specifications it's only the "DLP Link" license logo that tells users that they need DLP link glasses (and cannot use 3D-RF glasses, which is quite a downer for 3D-RF users like myself). Thus it looks less like a request of DLP projector manufacturers to Texas Instruments, but is probably owed to the possibility that DLP Link support is part of the TI hardware package and projector manufacturers gladly indicate it to shut up "3D nerds" such as ourselves. Interestingly, reading the latest BenQ projector models user reviews, there are many positive reactions to 3D performance. It looked cheesy in the 50s. As for this, words can't describe. It's the same guy forth row back. He stuck with it. Panson and dfa973 like this.